Home » Make Money Online » Top 5 tips to make MONEY Online! Top 5 tips to make MONEY Online! With the advent of the internet, it has become increasingly easy to earn money online. 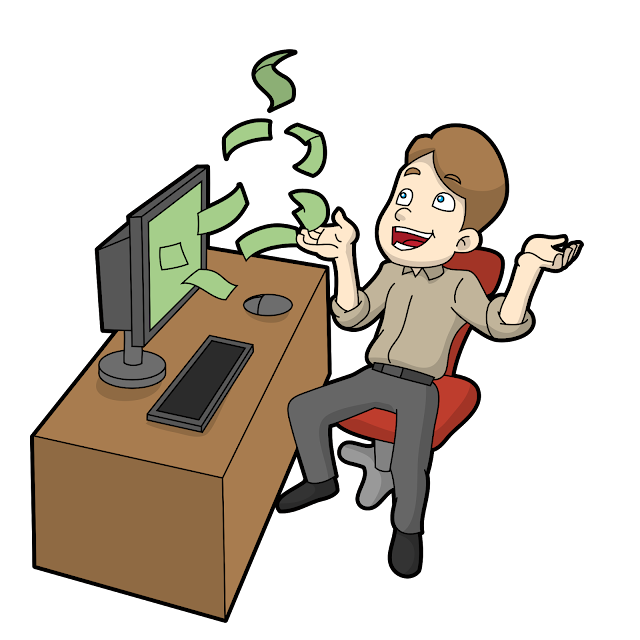 There are a lot of ways in which you can earn money online. These are the top 5 tips to make money on the net. Blogging is one of the best methods to make money online. Blogging is the suggested way to earn money in the longer run. Blogging is more or less like a business with the only difference that you invest time in the place of money. There are a lot of people who have turned full-time bloggers after reaping the benefits out of blogging. The best part about blogging is that there is no hard and steadfast rule. Your blog can speak about anything. As long as the blog keeps engaging the readers, you will be approached by a lot of ad firms for putting up advertisements on your blog that in turn fetch you money. There are also a lot of SEO techniques using which you can make your blog the main target for including backlinks. When your blog receives a lot of backlink request, it means that your blog is much resourceful. You can blog for business organizations too, which enhances your skill set and at the same time provides you with a lot of money. There are a lot of websites that welcome teachers to teach online. It is a known fact that e-learning is the next big industry. If you possess the skills of a good teacher, then register with any of the online learning sites and start teaching. There are also a lot of Massive Open Online Learning sites which accept courses delivery. You can create your own courses and upload it on their website. The websites charge a certain amount for enrollment into these courses from the students. A portion of the amount will be taken by the website and the rest will be transferred to your bank account. The various tech professionals around the globe are turning freelance teachers via this method. There is a lot of demand for tutors for tech courses. This is indeed one of the best opportunities for those who work for tech firms. They can make their weekends productive by teaching online. We live in an age of digital reading and Kindle. People have shifted towards reading using digital devices owing to cost efficiency. If you are well versed in a particular subject, then you can start penning it as a book and upload it online. If your book receives a lot of response, then you can earn a lot. The students always look out for books in a simplelanguage that caters to their doubts. You need not cover the toughest of the topics. It is more than enough if you cover the main topics and present it in the best manner. Online Content Writing, Article Writing,and ghost writing are some of the best methods to earn money online for those who are good at writing. You do not need a lot of materialistic resources for these jobs. You just need a working computer with an internet connection. It is all about the writing skills that provide you with the tag of a reliable content writer. If you are good at meeting the deadlines and providing good quality work, then you can make a career for yourself in this field. There are a lot of ways by which you can make money online by using your skills. If you are good at making jewelry or painting, then you can sell some of the accessories you make and your paintings online. There are a lot of e-commerce sites that facilitate seller to buyer interaction. If you have a social media account, then it is, even more, easier to sell. Various social networking sites like Facebook and Instagram are taking constant efforts to provide a good platform for their user to exhibit their skills and make money out of it. Specialized business pages and profiles can be created on these sites. Some of the latest features included by Facebook has created an e-commerce site like environment within a social networking site. Ever since Instagram and Facebook have fallen under one single roof, the integration between them has turned out to be very much profitable for small time business people and budding entrepreneurs. The problem of cargo is not a big issue. As there are a lot of logistics companies which provides customer services at cheap rates. This is one of the best methods to stay at home and earn online by making the fullest use of your skills. With the influx of a lot of mobile phones with a top-notch camera and pocket-friendly DSLRs, the interest towards photography has paramount. There are a lot of budding photographers. A wide range of photographic services is in demand in today’s market. The customers are not ready to pay a fortune to use the photographs for their business or other personal use. For those, who are not ready to avail the services of a full-time photographer, can download the pictures posted by the budding photographers for a certain amount. So, if you are someone who clicks photographs that are out of the world, then you can monetize your creations by uploading them in some of these websites. These websites would, in turn, pay you for every download. You need not worry about plagiarism as these websites are highly secured. The mode of payment is also done using the best payment gateways. The time of payment varies from website to website. There are a lot of websites, you can check for rankings on Google or ask for suggestions from fellow photographer friends. But, it is always advised to check if the website is legit or not. After gaining a little audience, you can start services on your own in the near future. Use these methods and make a lot of money by sitting at home and utilizing your time to the fullest.